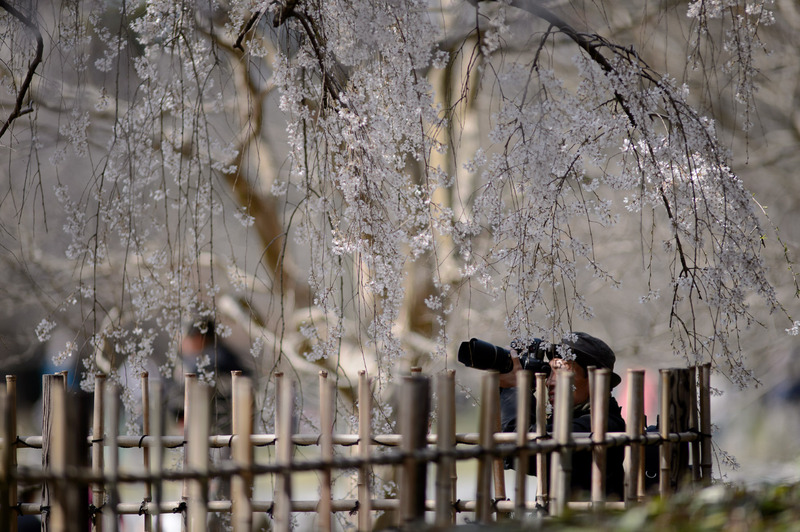 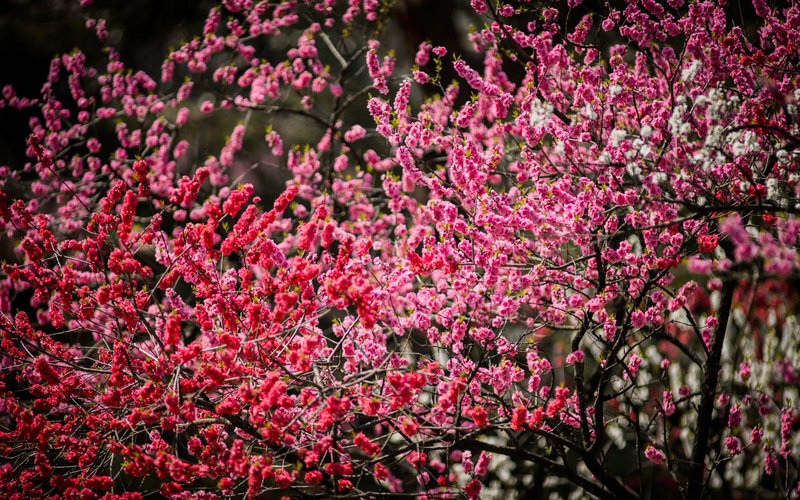 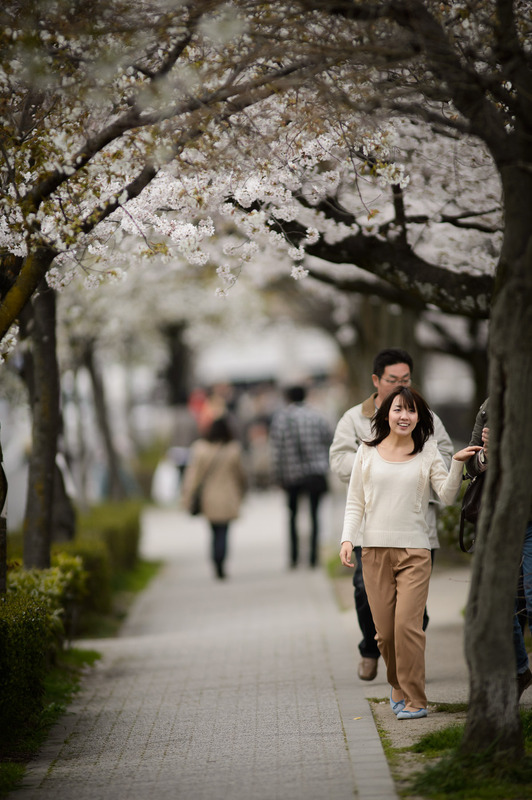 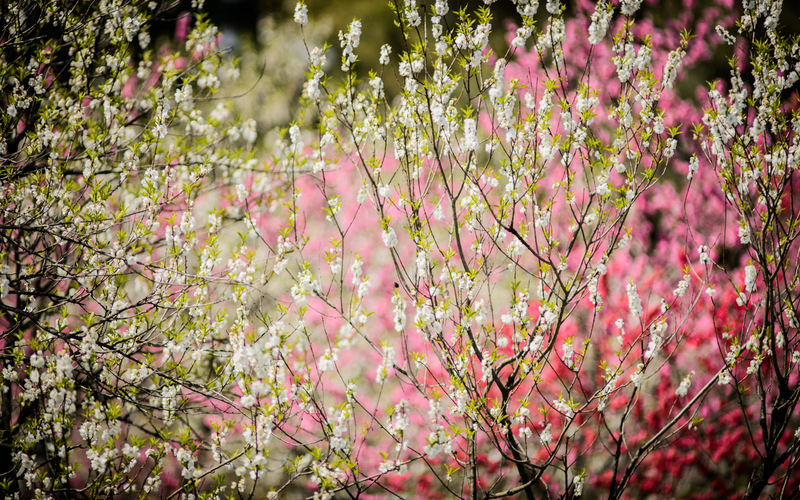 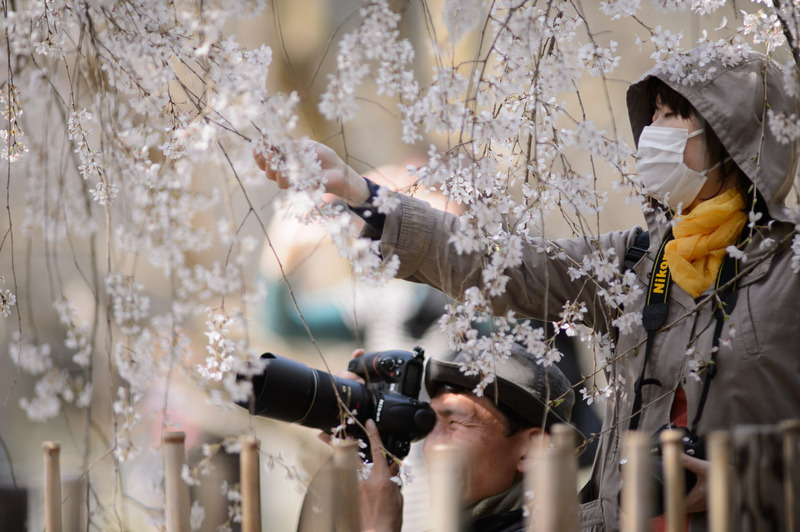 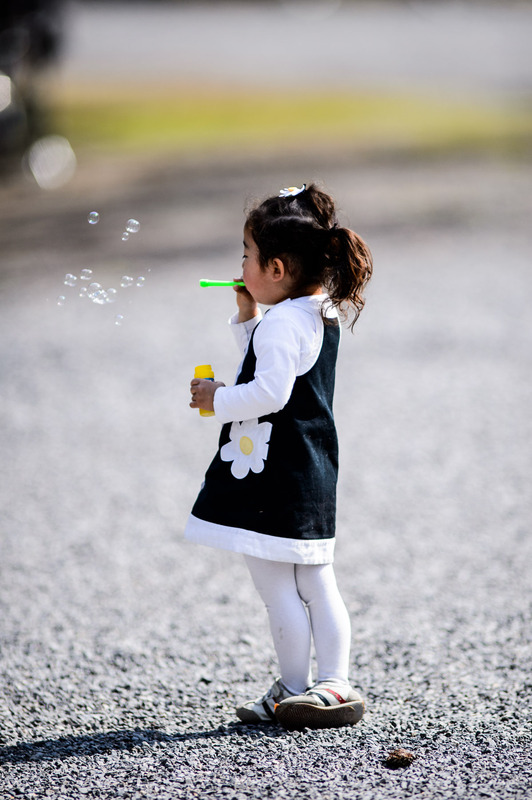 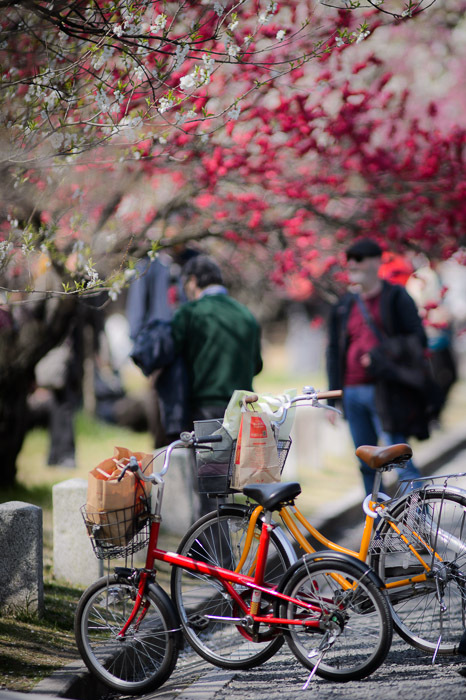 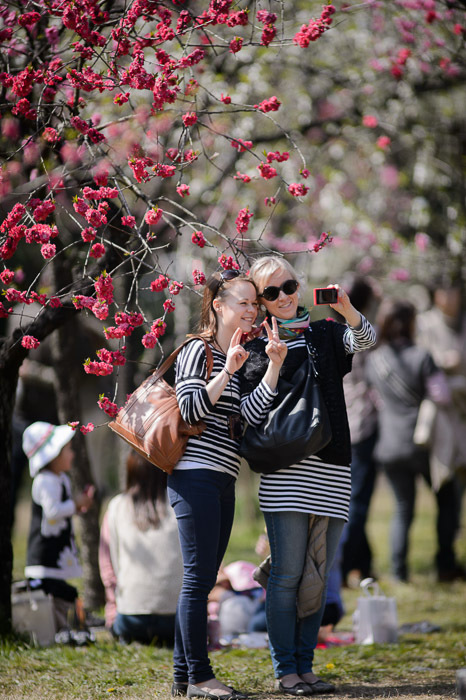 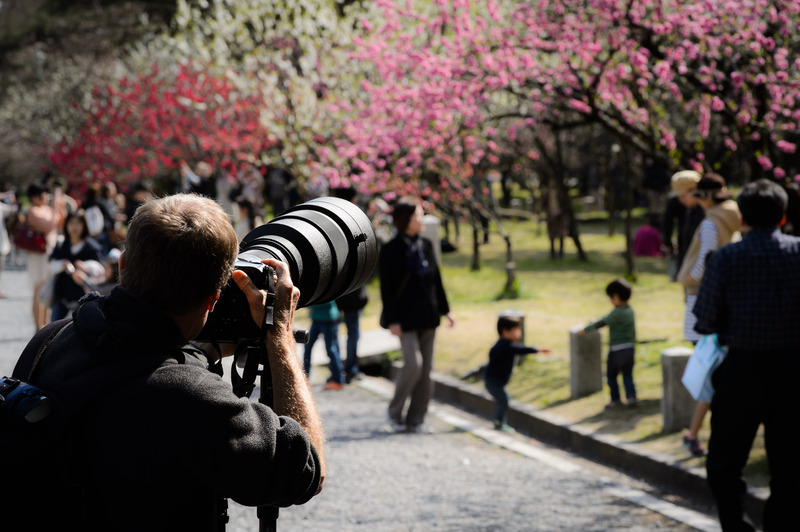 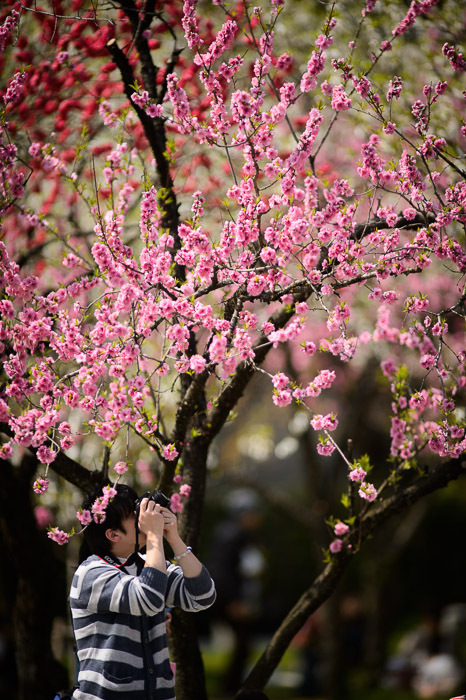 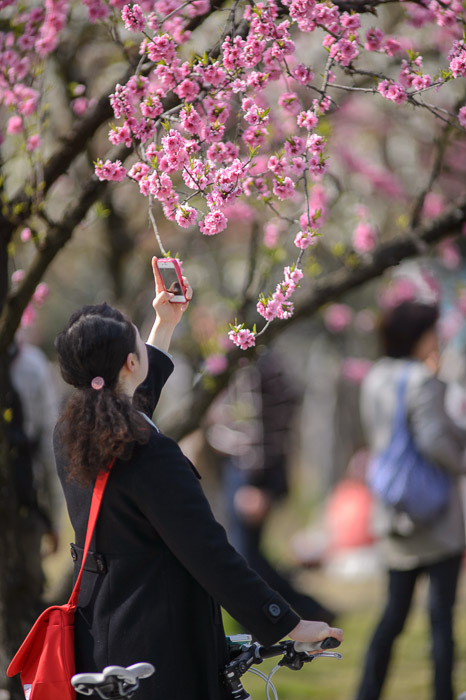 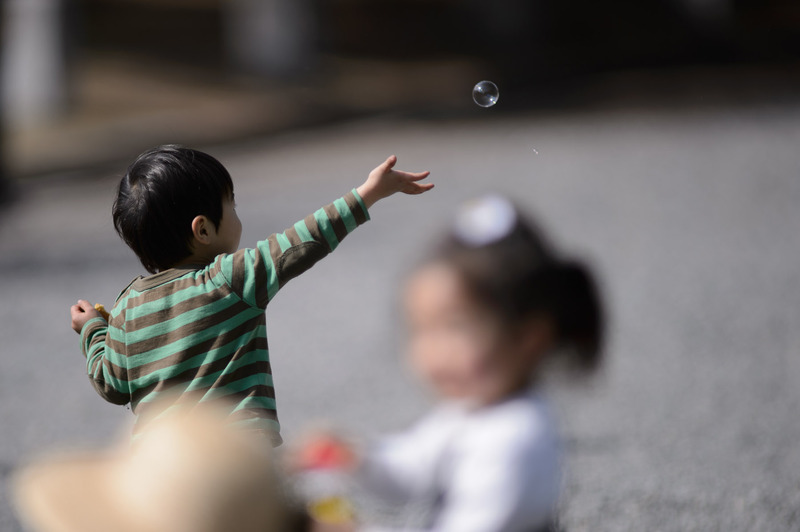 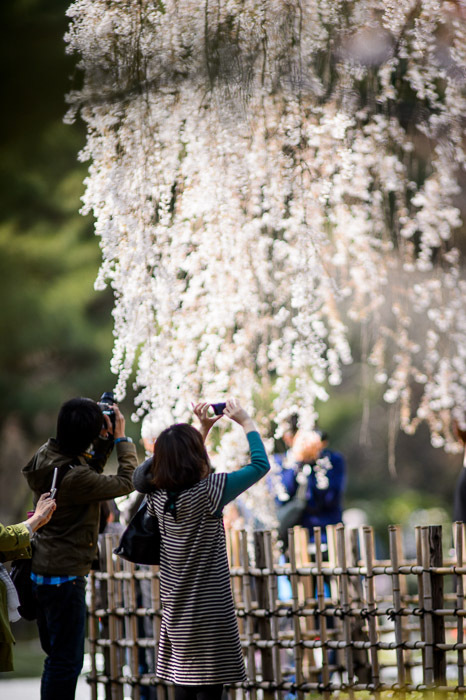 This posts continues “Enjoying the Blossoms at the Kyoto Imperial Palace Park” from the other day, with more folks enjoying themselves, as seen through the uncommon perspective of 300mm at f/2. 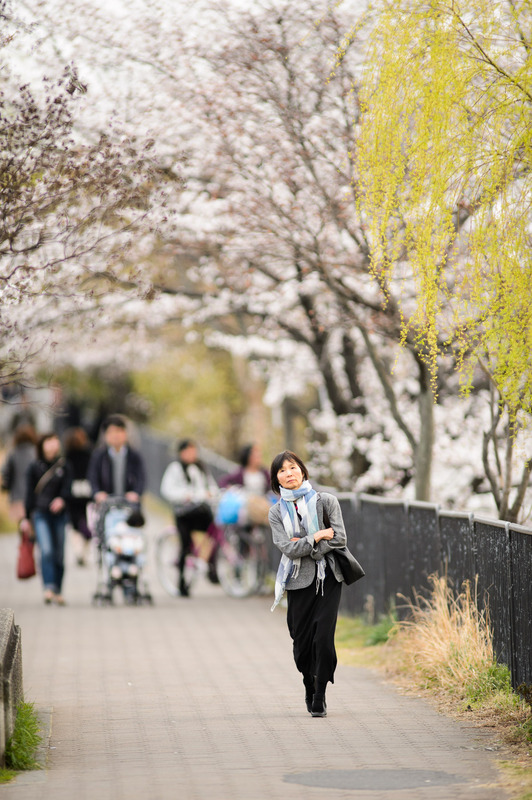 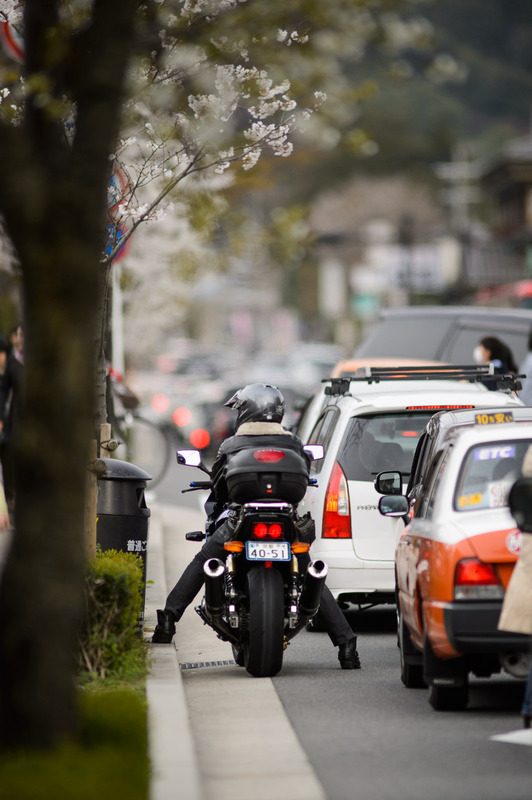 But mostly what I noticed on the way home was the utterly oppressive traffic that cherry blossoms and fall foliage bring to Kyoto, particularly on the outskirts like where I live in Okazaki. 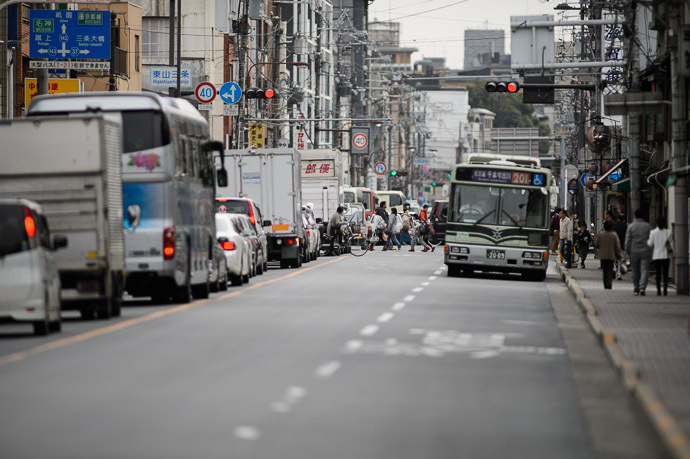 The roads where parking lots in directions that led to scenic areas, or, later in the day, in directions that led out of town. along Higashioji Street toward Sanjo St.
Travel by motorcycle or scooter is a lot easier, but bicycle, train, and/or feet are much better. 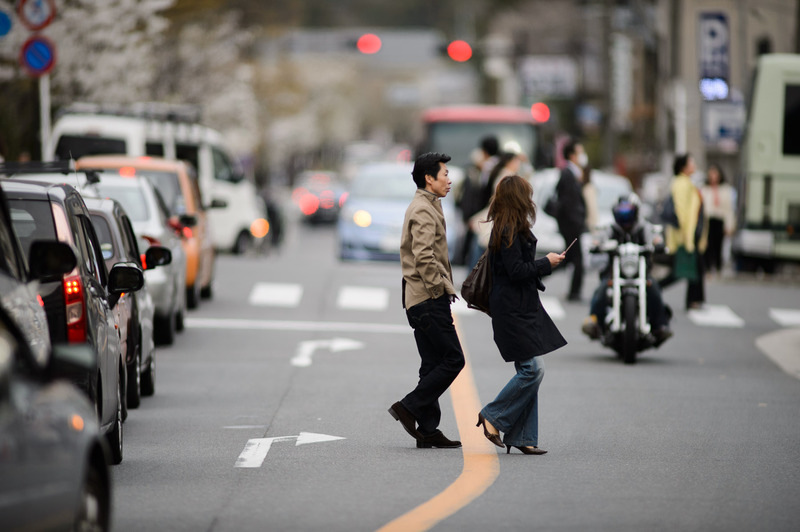 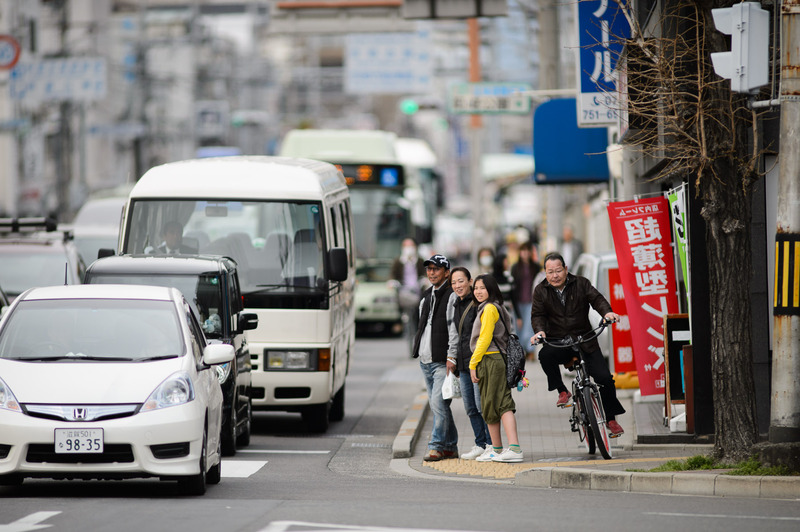 During this season, bus, taxi, and car are for the crazy or angelically patient.